More exciting games arrived this week. 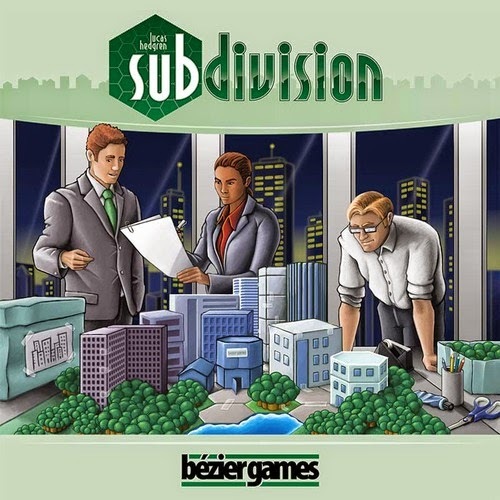 Newly released from Bézier Games is Subdivision, a sequel to the award winning game, Suburbia. While Subdivision has a similar theme the game play is completely different. Additionally, it is a lighter game and plays in a much shorter time - 30 to 45 minutes. This is a game of master planning a community on a large tract of land. Hex-shaped tiles are used to convert parcels into residential, luxury, commercial, civic, and industrial zones, and create lakes, parks, roads, sidewalks, and schools to improve a players' Subdivision. 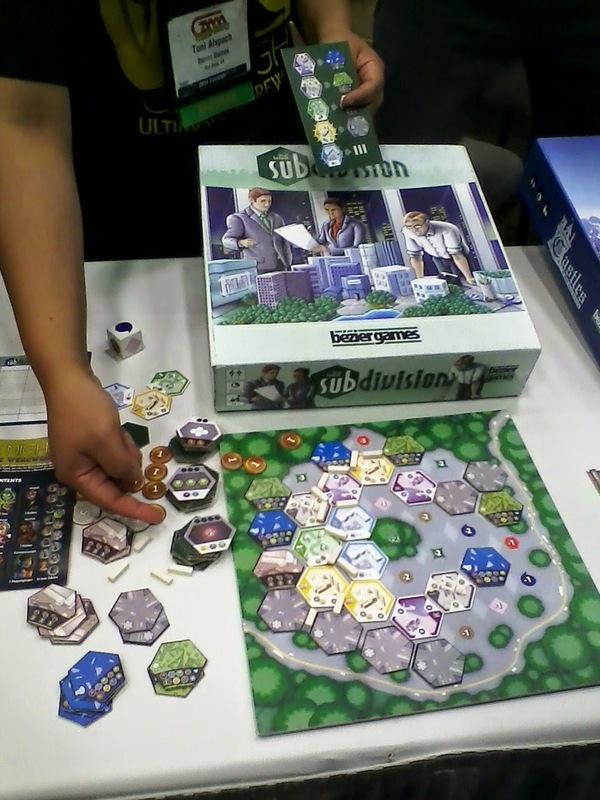 Subdivision is a simultaneous-play tile-laying game in which each player is building their own community where the different areas work together harmoniously and efficiently. Through drafting and the roll of the Parcel die, players add Zone tiles to their Subdivision, activating other Zones and generating Improvements. Those Improvements provide money and points, while slowly covering up as many parcels as possible. 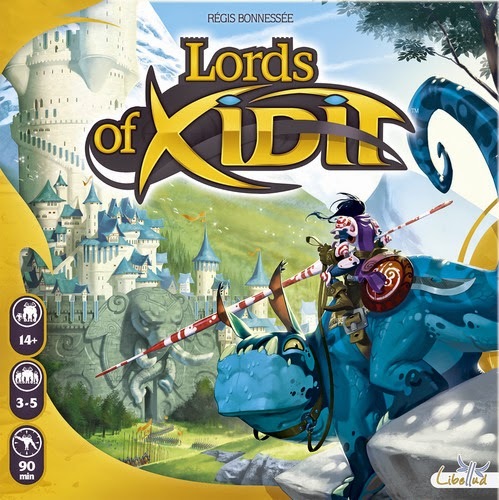 Another new game in is Lords of Xidit from Asmodee. Fans of the game Seasons will recognize Lords of Xidit as it is set in the same Xidit universe. While both games exist in the world of Xidit, the game play is completely different. What is refreshing and different about Lords of Xidit is it's game mechanics and it's end of game winning conditions. A game of Lords of Xidit is played over the course of 12 rounds. At the beginning of each round players will secretly and simultaneously use a programming board with dials to select their 6 actions. The objective of the game is to accumulate the right amount of gold, castles, and influence to keep from being eliminated during final scoring. After the 12th round, scores will be posted for the first of the 3 scoring elements. Players who placed 4th and 5th place (in a 5-player game) are eliminated. Scores are then posted for the remaining players for the 2nd scoring element with the 3rd place player being eliminated. Finally, scores are posted for the remaining players for the 3rd scoring element with the 2nd place player being eliminated leaving the winner as the last player standing. 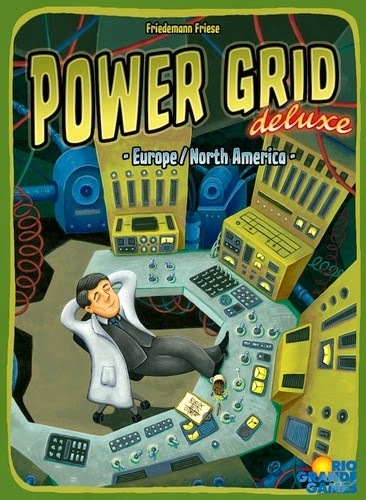 In celebration of Power Grid's 10 anniversary, Rio Grande Games has released Power Grid deluxe. 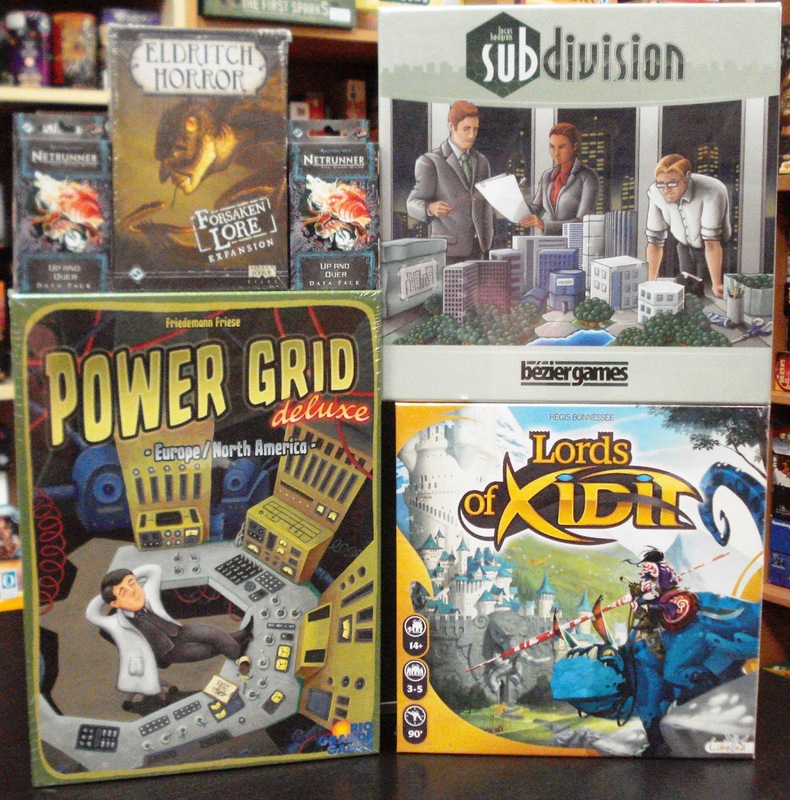 Power Grid deluxe is based on the highly successful game Power Grid. However, it is not simply the same game with bigger, better and more beautiful components, but rather a version made especially for the 10th anniversary. Everything is bigger: the double-sided game board now offers all of North America and all of Europe, rather than just the USA and Germany. The customized wooden parts offer actual generators for the players and different shapes for the resources, among them natural gas instead of garbage. All the power plants have been changed and we added new resource refill cards to make refilling the resource table easier. The game is still Power Grid, with all the exciting auctions, the nerve-racking resource speculations, complex city networks and the tight competition among the players - all the way to the nail-biting end, as several players vie for the win. 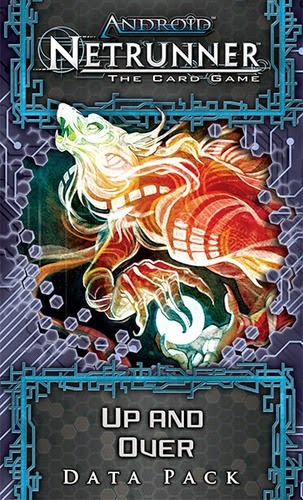 Arriving is the latest data pack for the base game Android Netrunner, Up and Over. This data pack contains 60 new cards designed to augment Corp and Runner decks. Android Netrunner is a 2-player asymmetrical card game. Hack into the future and change your reality, one run at a time.